I am fascinated by them. I love the idea of making the front door welcoming and decorated for the season. 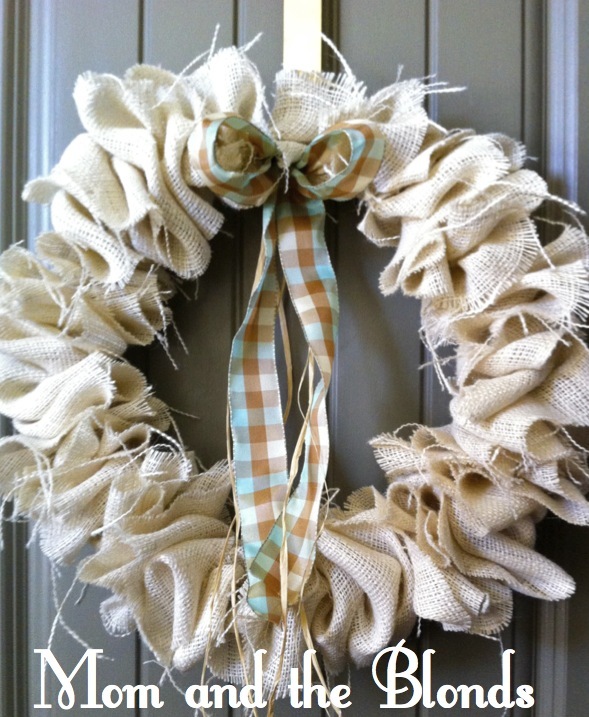 Take a look at my pinterest collection of wreaths. I hope to be able to make a few of those someday. Hmm, when is someday? I hope it gets here soon. In the meantime, I'd like to share one of the burlap wreaths I made last year. I do not have pictures of the process, but it was fast and easy. I used wire from my home improvement center and approximately one yard of fabric per wreath. The cost was about $5 per wreath. I gave most of them away to family and friends for Christmas, but saved two for my own use. :) I just adore them!